Longest flights have been a thing since the Wright Brothers flew 852′ in 1903. A few years ago, Singapore Airlines flew the longest flight in the world which was Newark, New Jersey, to Singapore for a distance of 9,539 miles, the longest scheduled route in the world ever flown commercially with passengers. They plan to reinstate this route using the new Airbus A350s at some future date yet to be announced. Today, the longest scheduled nonstop flight in the works is by Qatar Airways from Doha, Qatar (DOH) to Auckland, New Zealand (AKL) on a Boeing 777-200LR. The launch date is scheduled for December 3, 2016. The longest flight currently is actually the #2 world’s longest flight by distance which is flown by Emirates from Auckland, New Zealand to Dubai, UAE. It was launched on March 1, 2016 with the return segment to Dubai on March 2. Both Airbus and Boeing have really pushed the envelope to build airplanes that make these routes possible. The Boeing 777-200LR (77L), the Boeing 777-300ER (77W) and the Airbus A380 (380) are the ultra long haul workhorses. The airlines in question, Delta, Etihad, Emirates, Qantas and Qatar have worked hard to make the airplanes more comfortable which is definitely necessary with the block times topping out at 16:20. To that end, they’ve got Premium Economy sections which provide extra legroom, better meals, more entertainment choices, fantastic Business and First Class sections and Wifi for starters. So let’s take a look at the top seven longest flights by distance and see how you can use a frequent flyer award to make the journey possible. There is always competition between Qatar and Emirates, so, of course there’s a flight to Auckland from Dubai on Emirates. This one was announced before the Qatar flight though and is currently flying having started on March 1, 2016. This flight is currently the longest flight by distance dethroning Qantas Dallas/Ft. Worth to Sydney which held the lead since 2014. Although Alaska Airlines is a earn and redemption partner, there are currently no awards in the Alaska Airlines Mileage Plan charts for the South Pacific. As such, you are unable to redeem miles for this one. The relationship with JetBlue is an earn only basis. This means that you can receive JetBlue TrueBlue points for taking this flight, but you can’t redeem TrueBlue points to take this flight. This flight was actually the world’s longest flight by distance for sometime until the two above came around. This is an Airbus A380 route operated by Qantas. Since Qantas is a part of the oneworld Alliance, then that means you can use your American Airlines AAdvantage Awards in order to take the flight. Here’s the redemption levels for one-way Awards. 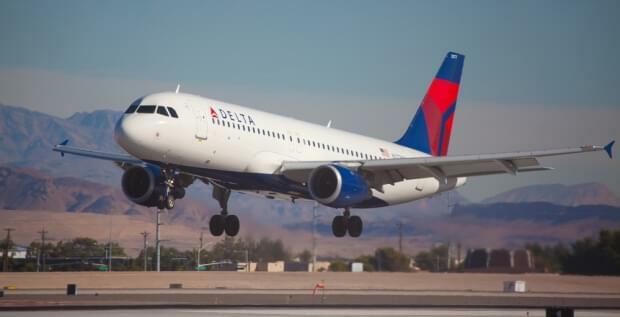 Note: As Delta does not offer one way rewards, the miles quoted here are for round trip or one-way travel. A full list of Etihad airline partners can be found here. Alaska Airlines does have a note advising that when you use miles, you are not eligible for the chauffeur service which usually comes with a Business or First Class ticket. So you may want to purchase the ticket outright to ensure that you receive the full service. Business Class fares start at $4,740 USD and about $10,901 for First Class. Note: Taxes and fees are quoted where it was available. These may change at time of purchase. So now you have a pretty good idea of what it takes to get on one of the world’s seven longest flights using miles and points. I’d say that being a member of the Alaska Airlines Mileage Plan program seems to be the way to get the trips for the least miles. So that may be a consideration. If not, joining the program for the particular airlines in question works as well. When you are earning miles using another airline’s program other than the airline you are flying, ensure that you book in the right fare class so you maximize the earnings. These are long legs so there are lots of miles to be earned. Also, carriers like Emirates, Etihad and Qatar gives you added bonuses especially since the routes are new. You may not get that when you use a partner’s program. Have you flown any of these flights or do you want to?